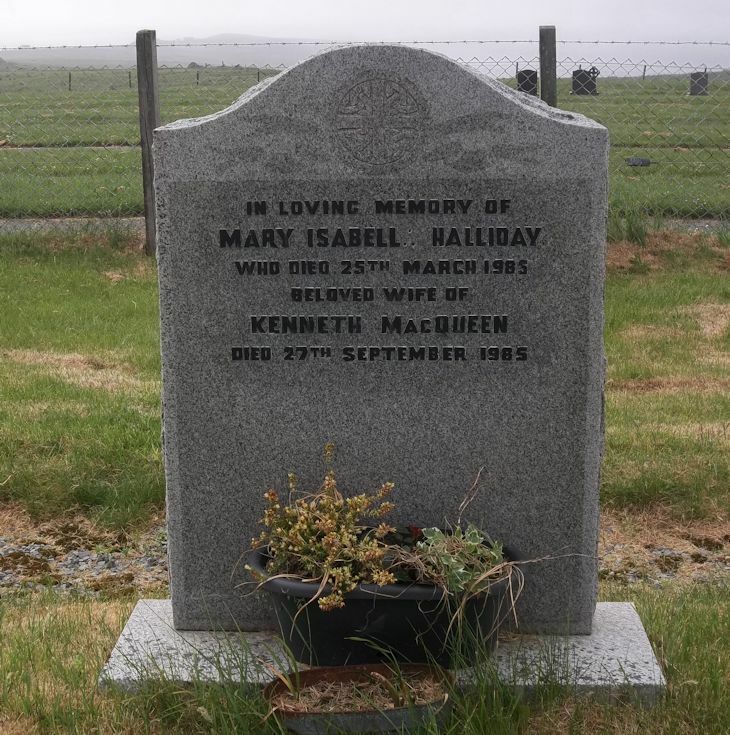 Skye Gravestones | Mary (Halliday) & Kenneth MacQueen. Mary (Halliday) & Kenneth MacQueen. In loving memory of/MARY ISABELLA HALLIDAY/who died 25th March 1985/beloved wife of/KENNETH MacQUEEN/died 27th September 1985.